ðŸŽ‰Hope you all had a great New Year's Eve! 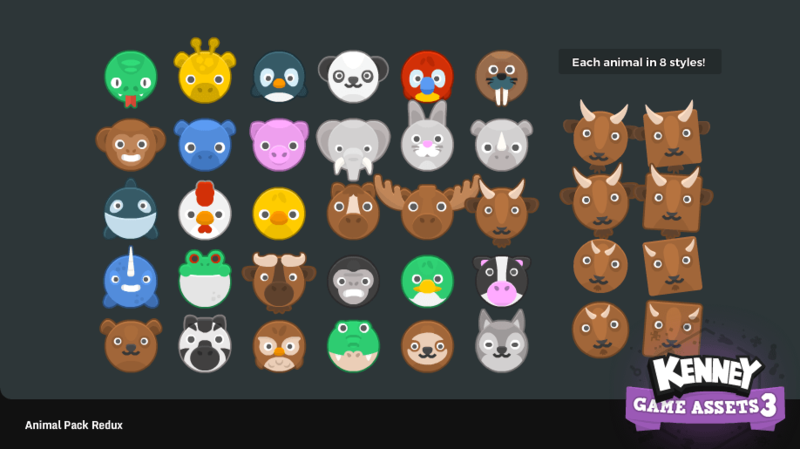 We've updated Kenney Game Assets 3 to include two new 2D asset packs. 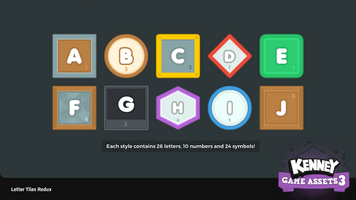 "Letter Tiles Redux" includes letter tiles in 10 different styles, each tile has 60 symbols (letters, numbers and icons). 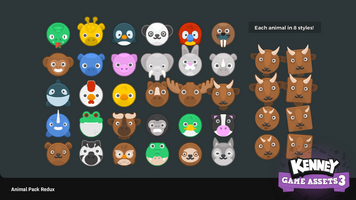 "Animal Pack Redux" is an expansion/remake of the previous set and includes 30 animals each in 8 different styles.